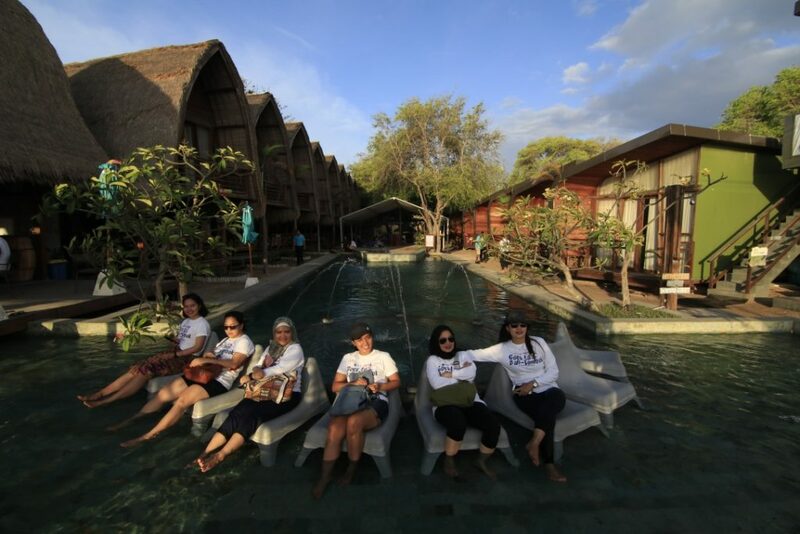 As an utmost appreciation to fellow media who is always supporting Dafam Hotel Management (DHM) from 2010 to 2018, Dafam organized a fun Media FamTrip with ‘’Exploring Paradise Island of Bali Lombok’’ theme. This event also celebrated the 11th of Himpunan Anak Media (HAM). A total of 35 printed and electronic media from Jakarta, Semarang and Bali began their journey on November 22 to 25th 2018. The Media FamTrip was held by DHM to show a tremendous participation in reviving tourism especially Lombok and Bali after the earthquake. On the first day, activity starts from Hotel Dafam Savvoya Seminyak Bali, which upon arrival; the media people are welcomed at Ngurah Rai Airport by Toyota Yaris Club Indonesia which is led directly by George Lahallo who is also General Manager of Hotel Dafam Savvoya Seminyak Bali. Then they proceed to cross to Gili Air on the second day. The media group used ‘’NS Boat’ private boat with a capacity of 130 passengers that was specially rented by DHM to their other property in Lombok, Mola-Mola Resort Gili Air. 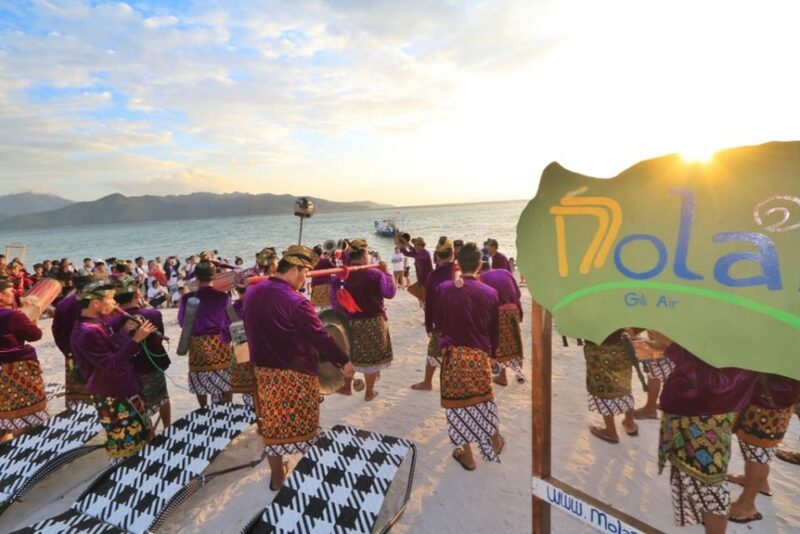 The entire media later was invited to explore the beauty of the Gili Islands with its tranquil atmosphere and enjoying picturesque sunrise and sunset. To show a great attention to environmental conservation to preserve biodiversity and ecosystems, DHM along with media personnel also release Tukik which is one of the animals which is protected on the Mola-Mola beach. “We hope that with this activity the turtle population can increase and the community will become more aware of the importance of protecting protected animals,” added Andhy Irawan, CEO of DHM at the event. 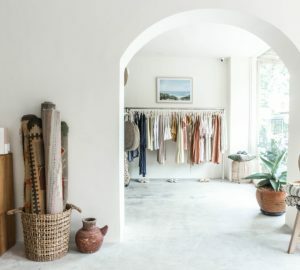 Despite the huge earthquake that struck Lombok last August and caused severe damage in the area, now the condition has been better and also improved ever since. Tourism industry, especially around Mola-mola, has slowly returned to normal. 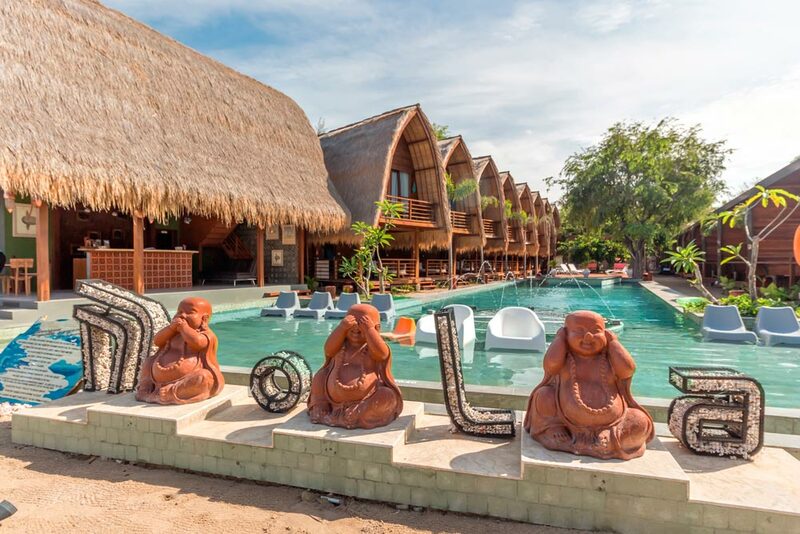 Tourists who are mostly known from Europe have returned to the Gili. 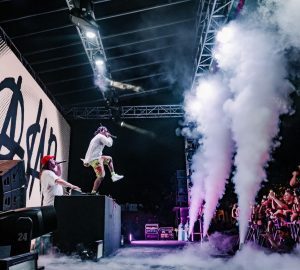 ‘‘Indeed it dropped dramatically but now on average 50% of rooms is always filled. 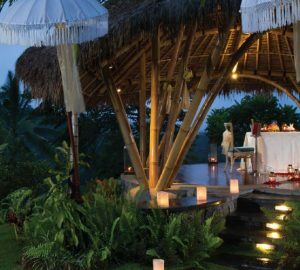 This shows that the level of trust from the tourists to visit Lombok especially at Mola-Mola Resort Gili Air is getting better,” said Andi Ananto, GM Mola-Mola Resort Gili Air. After enjoying the gala dinner and exploring Gili Air, on the next day, the media returned to Bali to enjoy another DHM property in the Ungasan area, namely The Beverly Hills Bali where the media was invited to enjoy the magnificent sight view height of Beverly Hill not far from the Garuda Wisnu Kencana (GWK) and Pandawa Beach. At the main of the HAM anniversary event, an appreciation was also given to a number of media friends who have supported DHM’s journey for eight years, including The Best Newspaper Support, The Best Magazine Support, The Best Online Portal Support, Most Visiting Media, and The Best Supporting Media Agency. Also presented on this occasion were Soleh Dahlan, Chief Commissioner of PT Dafam Property Indonesia (DPI) Tbk, Billy Dahlan, President Director of PT Dafam Properti Indonesia (DPI) Tbk, and Andhy Irawan, DHM CEO DHM representative team. Before leaving Bali on Sunday (25/11), the media was also invited to stop at the last DHM property, Villa Savvoya in Seminyak, Bali. “Hopefully with this event, the media can be more supportive and able to cooperate with each other with DHM and also stimulate the Indonesian tourism to be bigger, especially in the Lombok and Bali regions after the earthquake,” closed Andhy Irawan.